We knew when we saw these wheelbarrows at the entrance to the event that there was going to be some serious pumpkin shopping action that day! Did you recognize William Tell? Heidi’s house?and an alphorn player? 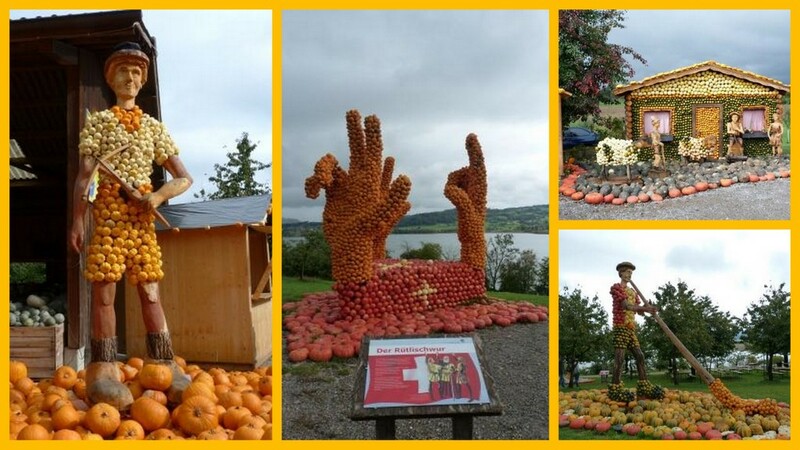 The sculpture of the 3 hands in the middle may not ring a bell for non-Swiss residents. 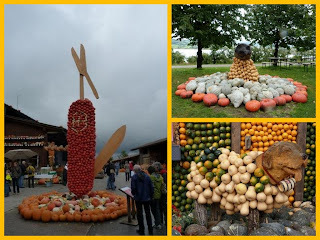 It symbolizes the Rütlischwur that we celebrated on the 1st of August this year (you can read about it here). 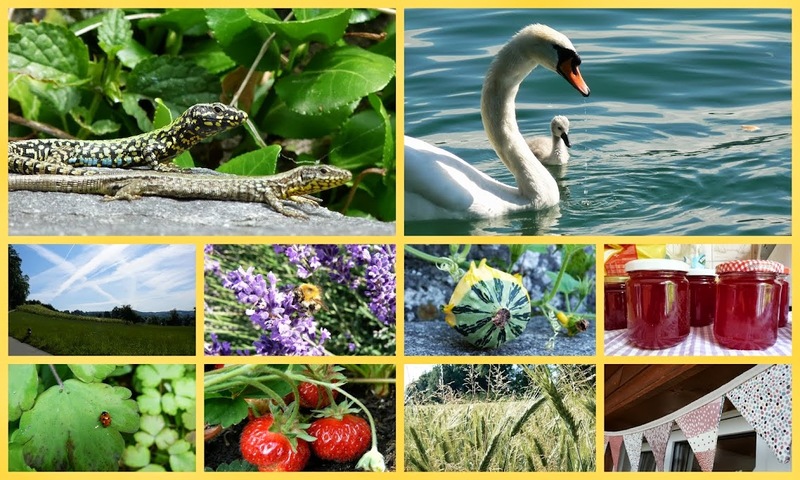 The Rütlischwur is a legendary oath of the Old Swiss Confederacy, taken on the Rütli, a meadow above Lake Lucerne near Seelisberg. 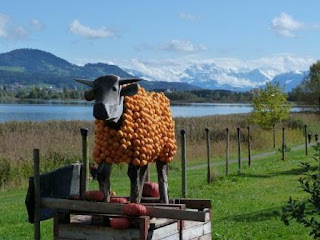 How about more Swiss stereotypes? Everyone loves a Swiss army knife, a marmot or a Bernhardiner! What really amazed us was the diversity of pumpkins from all over the world. 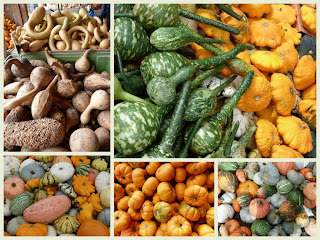 I would never have thought that pumpkins (and its relatives) came in so many sizes, colours, shapes, textures! I was also really shocked at how big they can grow! 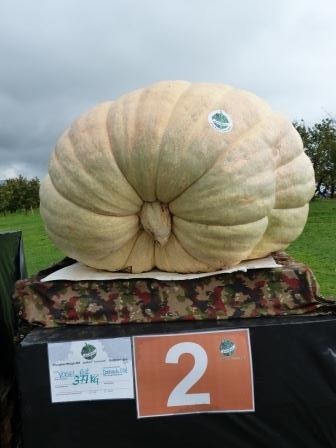 This one below was only the second largest pumpkin that had been grown on the farm this year and weighed in at 377kg. The heaviest one was on a European tour and would have made this one looks tiny weighing in at over 700kg! 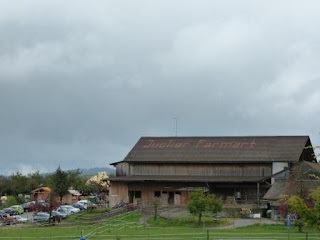 The farm offered breathtaking views over the Austrian Alps. 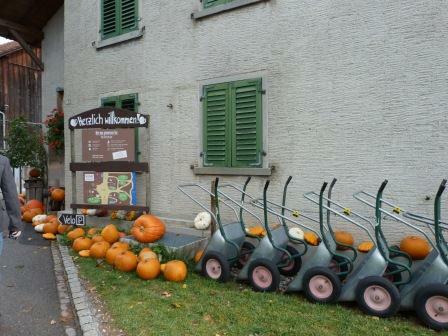 Lunch was followed by a nice walk along Pfäfiffkersee during which many walnuts were collected. 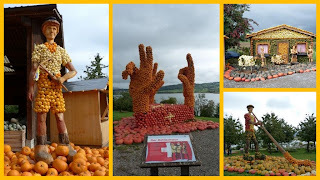 I would certainly recommend this annual event to anyone leaving near Zürich and we’re already looking forward to going back (and buying more pumpkin oil) next year! 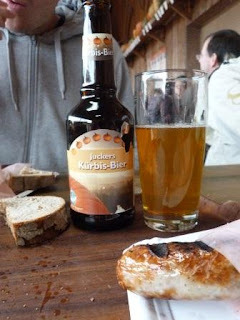 I will leave you with a photo which I think summarises the essence of the farm pretty well. 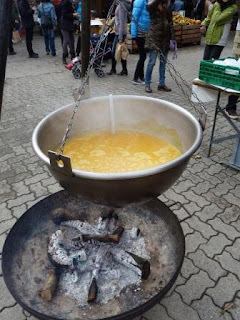 Do you have similar autumn/food festivals near where you live? Oh I enjoyed this crazy pumpkin fest ! Incredible what they can do with the Kurbis. 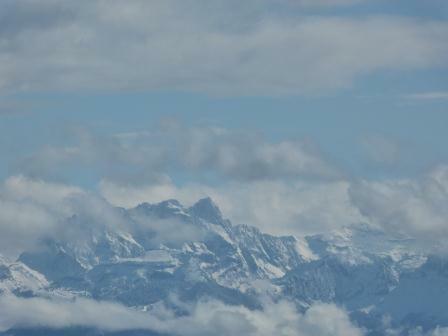 Crazy too to see the Austrian Alps when in CH ! I love that place we have been there too, always a pleasure.